Behavioral Interventions--For Kids! : What now?! 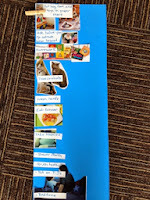 This is an after school schedule, complete with pictures and a clothespin to help my client move through each task. 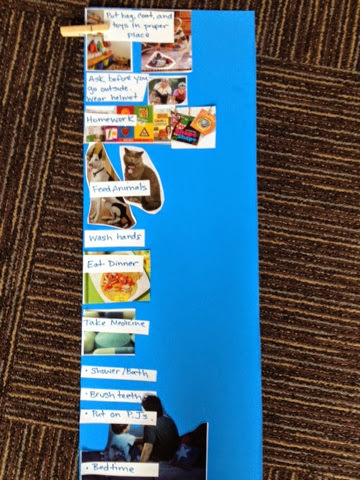 This will help this kiddo in his independence, organization and responsibility, leaving little room for confusion, and pretty simple (almost more simple than this example-depending on age and the kiddo). Don't we all need a to-do list? I think I might make one myself!